The problem is that so many people switch from waterfall legacy systems model, to agile and fail (most “failures” in business are relatively minor – but failure to successfully adapt to agile can cause maintenance costs to spin out of control and halt delivery cycles – unchecked that’s lethal to most businesses). The rub is that there are several reasons for these failures. One of the things that is more complex than it seems is the vision for the end state. You might think everyone needs to share and understand – grok the end state. But that’s not the case. Particularly with large transformations, only a few need to share the vision for the end state and the interim success milestones. Here are some images to illustrate the point. 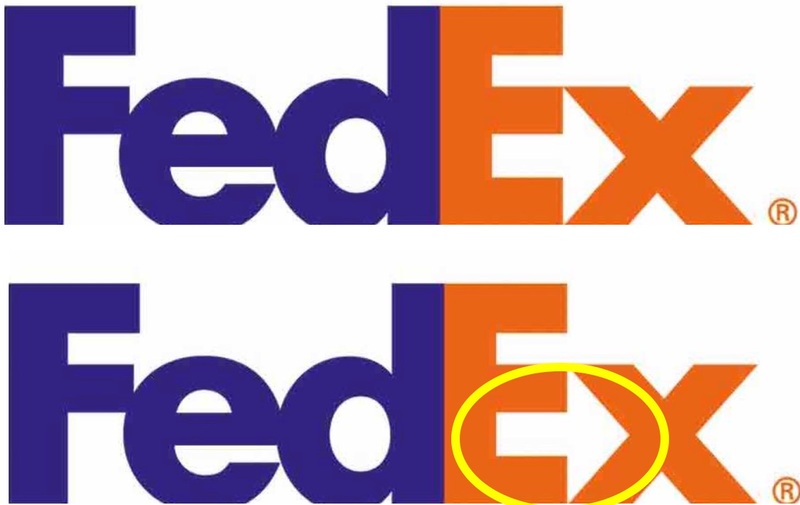 Sometimes something is completely obvious to you but other people don’t see it, and it’s easy to show them, like the arrow in the FedEx logo. 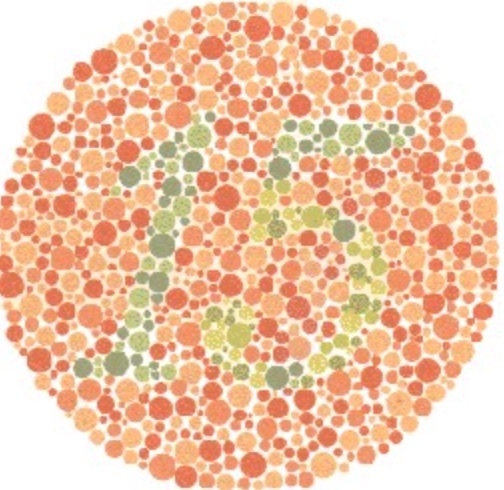 Then there are things you can see that others can’t, even if you circle it, like the number 15 in the diagram below that you can probably see if you are not color-blind. The image below is called a stereogram and it also contains an image. Some people can see it right away, others need to stare at it for a while – and others may never see it. I haven’t seen it yet otherwise I would tell you what’s in it – I will spend some more time looking at it and update this post if I see it. Leading any change in an organization requires a vision of what that organization will look like at the end of the change. Bill Barnett wrote this really insightful piece on disruptive change – but not all transformational changes in an organization lead to an external disruption. Sometimes the change is small having the vision for that end state is straightforward like the FedEx logo. Banks allowing customers to withdraw cash using ATMs instead of going to a teller is an example of a change that’s pretty easy to picture. But the pace of change in business has accelerated across the board and to keep up and stay competitive, most organizations need to restructure, even refactor if they are to continue to achieve their goals. One area where major change is needed is in how they manage technology. When organizations migrate from supporting a few legacy software systems for things like CRM and ERP that might have quarterly or annual release cycles to a model where they now need to release software every month, or every week or even every day as some do now – it can be a lot harder to picture what changes are needed. So as changes get more complex and become transformations, chances are the end-state vision will be more analogous to a stereogram where not everyone can see it. That’s because complex transformations often require significant changes in three things – the structure of the teams, the governance model that is used to manage what work is done, and the metrics used for that work. Major transformation in structure, governance, and metrics can be very hard to imagine. Especially when teams aren’t used to going through a major transformation, and all they know is the way they have been doing it for many years, it can be even harder for everyone to see the image in the stereogram. Transformations can be a lot like innovation in that if that’s all you do, you get really good at it, and the odds of your success go up every time you do it because you get better and better at it. Because few organizations are in a constant state of transformation – they often hire people who do it all the time to help not only create the vision – but also help them execute the transformation to help them be successful. In our experience – success for a large transformation has to excel in the three areas mentioned above – governance, structure, and metrics. Absent rigorous and disciplined change in governance (making sure people are working on the right things), structure (the way teams are organized and the skills they have – which are often very different from the skill needed in legacy/waterfall team), and metrics (delivering working, tested software that meets the needs of the business), organizations will fall short of their transformation needs and goals. If you are considering a transformation – make sure you have these three bases covered in your vision and your execution. It is very tempting to want to get everyone on the same page and make sure everyone can see the vision before moving forward. This is not necessary. As long as the leaders of the transformation have a clear vision on the end-state of the transformation (agreeing that it’s the number 15 to use the simplistic color-blindness test example above) – that is what is required. We would go so far as to say it’s smart to assume that not everyone can see the future state – and that is part of the structure, governance, and metrics needed to ensure success along the way. If there are people who don’t share the vision – they won’t know if they are off track for the work they are doing, so communication among team members needs to be disciplined – even explicitly baked into the 90 day plans that should be in place for a transformation of this scale. We have seen many examples of cases where organizations have successfully defined and achieved their vision – and even more cases where organizations have stumbled. Contact us and we will share our lessons learned with you. As always. You’ve got me thinking. Great post. Thank you. Lately I have been thinking and reading (not writing … yet) about the intersection of Design Thinking and Deming’s PDCA cycle. I may refer to your post here for that.